BitStrike Software uses international e-commerce partner PayPro Global for payment processing. To start your purchase click "Buy Now" link below. Then enter customer information and select desired payment method on the order page. Follow instructions. Credit Card: We accept Visa, MasterCard, American Express, Diners Club, and JCB. When you pay by credit card, your order will be processed immediately. Postal mail shipments are initiated immediately. Products available electronically are generally ready for download immediately, or no more than 48 hours after you place your order. Bank/Wire Transfer: The product will be delivered once payment has been received. You will receive the bank account information right after your order has been processed. PayPal: Typically, product delivery will be initiated immediately. You can find more information about this payment type during the payment process. Check: Products will be shipped once payment has been received. More information is available during the payment process. Cash: You can also send us cash by mail. You will receive notification of our postal address by e-mail after your order is submitted. Your order will be shipped as soon as payment is received. WebMoney: Typically, product delivery will be initiated immediately. You can find more information about this payment type during the payment process. Phone/Fax/Purchase Order: You can use phone or fax to avoid exposing your credit card information online. Also we accept Purchase Orders. Just follow the instructions on the order page. All personal data are transmitted using the secure (encrypted) HTTP protocol according to the current SSL standard. If you still do not want to transmit your encrypted personal data over the secure server connection, you can also place an order by fax or phone. Your ordering information will never be shared with anyone. Alternatively, we accepts Checks and Money Orders through postal mail. We accept Purchase Orders and wire transfers as well. If you send an order by mail or fax mention proper product ID from the table above. Disclaimer - We reserve the right to change prices without notification. All sales are final and we recommend that you evaluate the trial versions before purchasing. 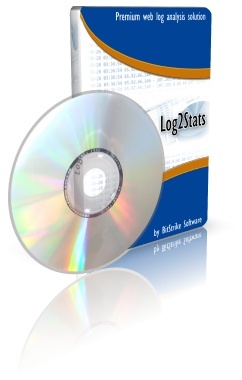 Also refer to the Software License Agreement for Log2Stats. All upgrade options can be found in the "Manage product options" section on our support web site.